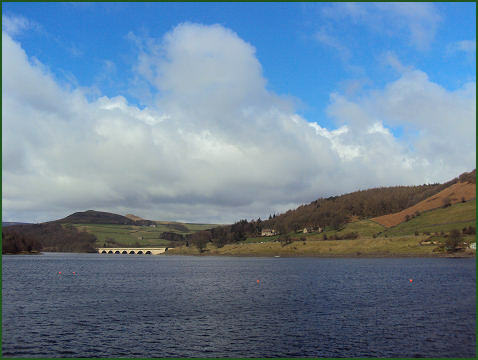 Ladybower Reservoir is a large Y-shaped reservoir, the lowest of three reservoirs in the beautiful Upper Derwent Valley in the Peak District National Park. 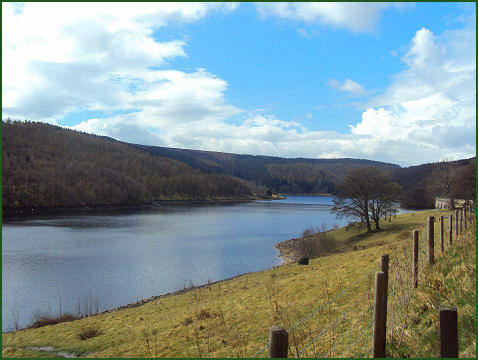 The reservoir was constructed between 1935 and 1943 by the Derwent Valley Water Board, which resulted in the flooding of the villages of Ashopton and Derwent. It was opened in 24 September 1945 by King George VI. 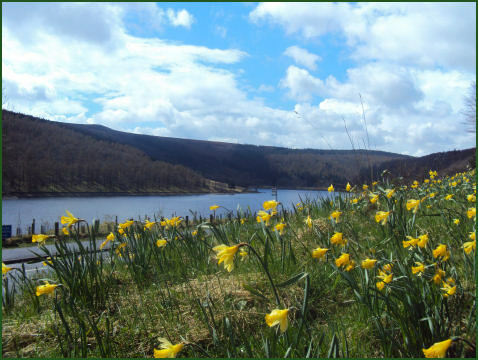 There are 3 dams in the Derwent Valley which are famed for their role in the preparation of the Dam busters raids during the Second World War. 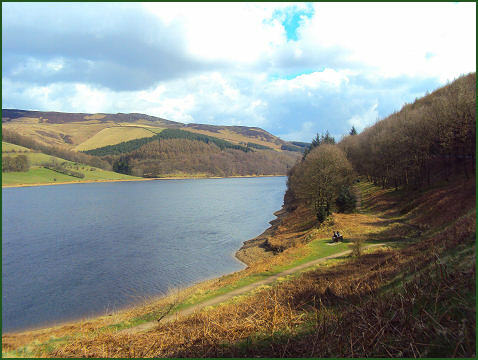 Due to their resemblance to the German dams the pilots of 617 Squadron used the upper Dams of the Derwent reservoir for training runs. 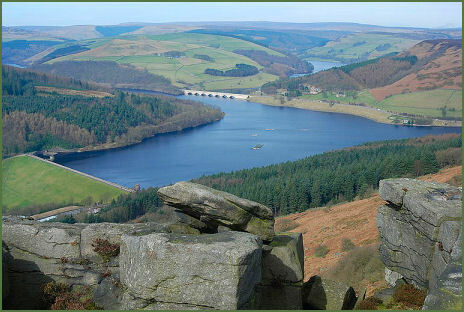 Unlike the upper dams which are constructed of masonry, the Ladybower reservoir dam is an earth embankment with a clay core. 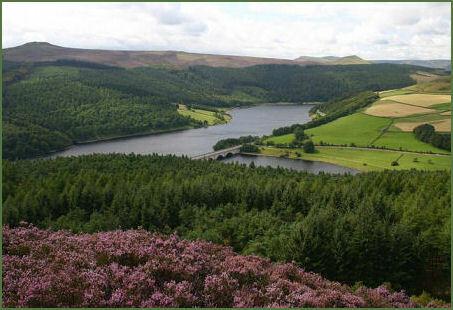 The reservoir is now a popular tourist location the Fairholmes visitors' centre located at the northern tip of Ladybower. Information is available in several formats, including books, leaflets, guides and 3D models. There are interesting old photographs showing the villages of Derwent and Ashopton before they were flooded during the dams construction. Teas, coffees, drinks, ice creams and snacks are also available. There are three small walks of different distances near to the visitors centre, all colour coded and signposted. There are 3 car parks along the way before you reach Fairholmes Visitor centre as well as a larger one at the centre itself which is pay and display.